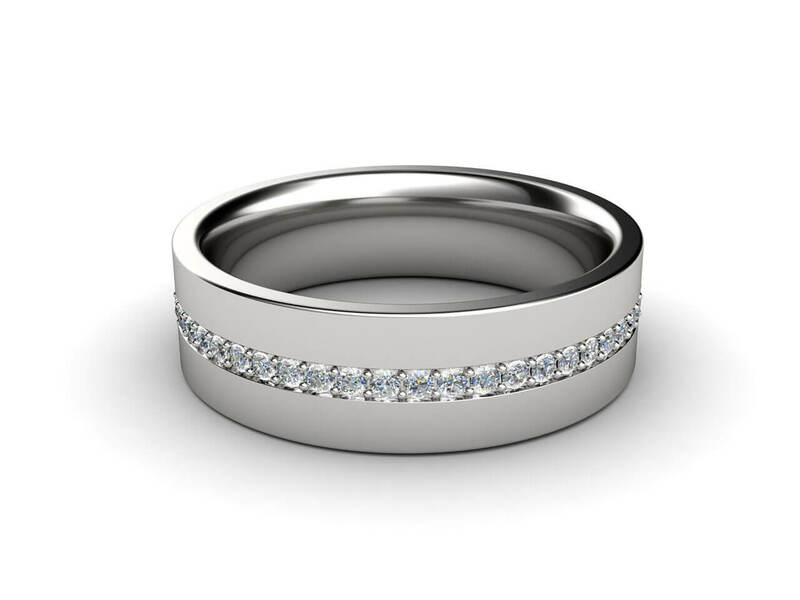 Brilliant centre line of pave diamonds wedding ring. 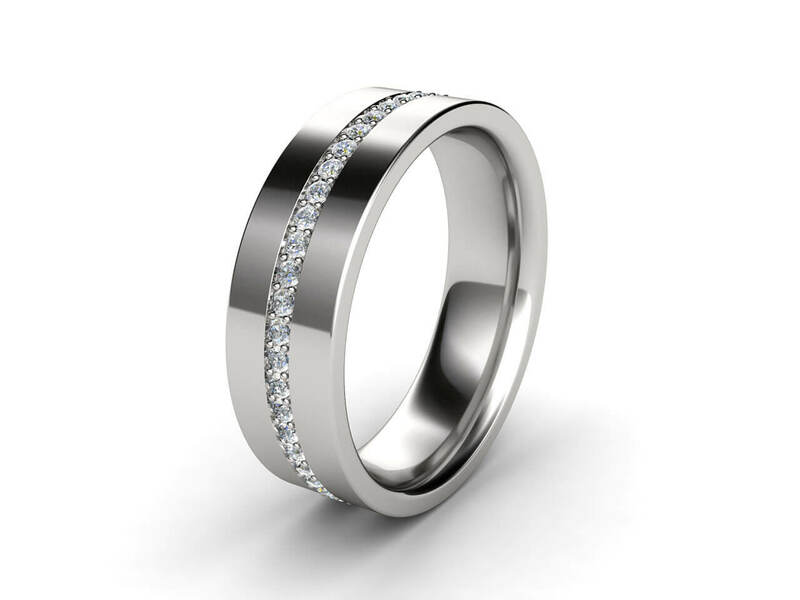 For the contemporary and chic man who wants a timeless design. 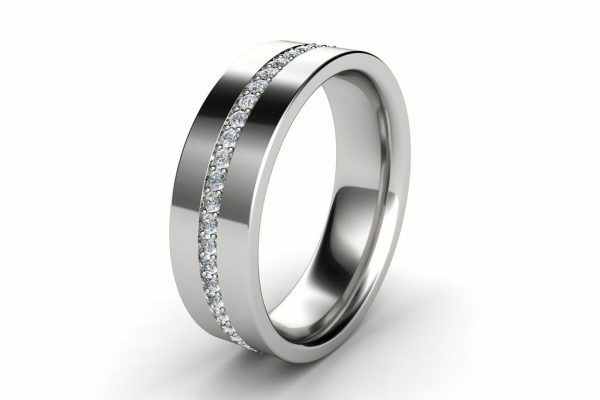 The simplicity of parallel lines create an elegant yet modern band. Weight side stones: 0.50ct aprox.